Happy first day of real summer! Rumor has it you east coasters are hot today. Damn hot. Real hot. Sticky, drippy, lung-crushing hot. It’s a perfectly breezy 74 degrees here in San Francisco, but I’m not just going to go telling you that. I mean, why would I? To make you jealous? Encourage you to shake your sweaty fist at me? That wouldn’t be nice, no sir. 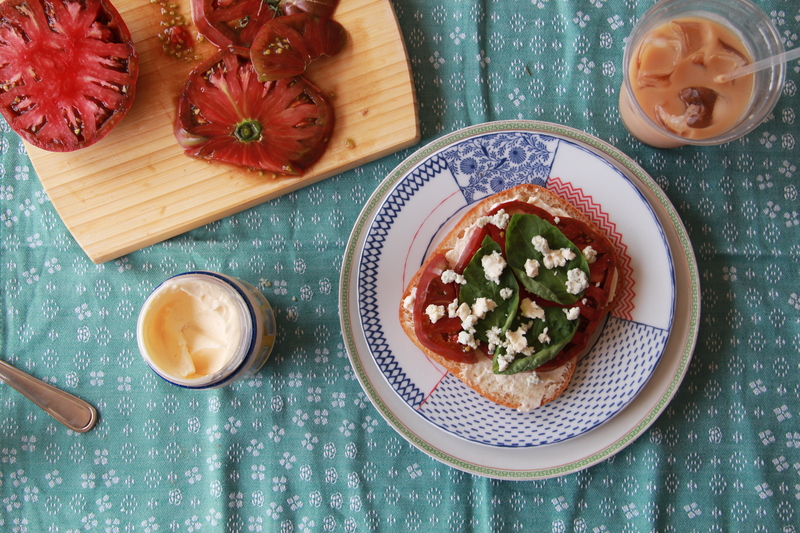 Instead, I’m going to tell you how to master the art of the sandwich of summer sandwiches, that coolest of hot-weather cool, the classic: tomato sandwich. Choose good bread. This is the foundation of your masterpiece. Sad and floppy won’t do. We are not weak. I like to go with a thick slice of ciabatta or Dutch crunch, but any bread with a solid crumb and a crisp-yet-yielding crust will fit the tomato sandwich bill. Use real mayo. Don’t be shy. 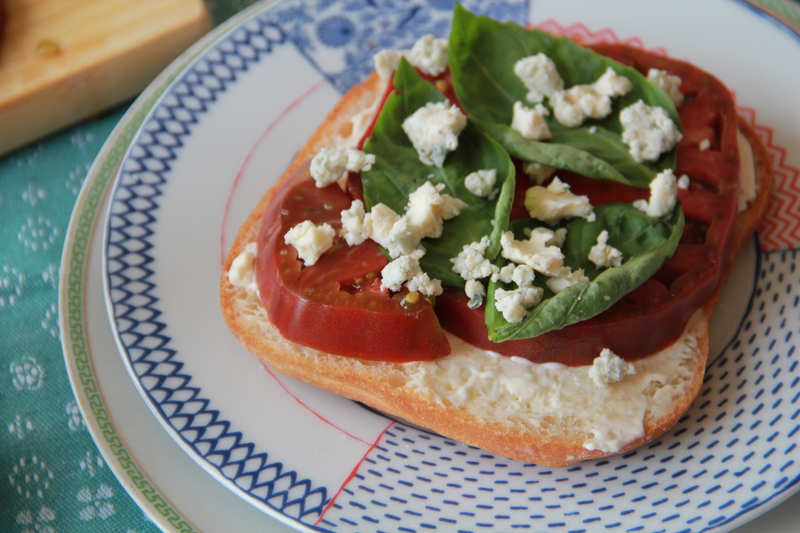 Hellman’s is perfectly great; homemade is perfectly better. Salt. From the sea. Also ground black pepper. Use generously. So, there you have it. 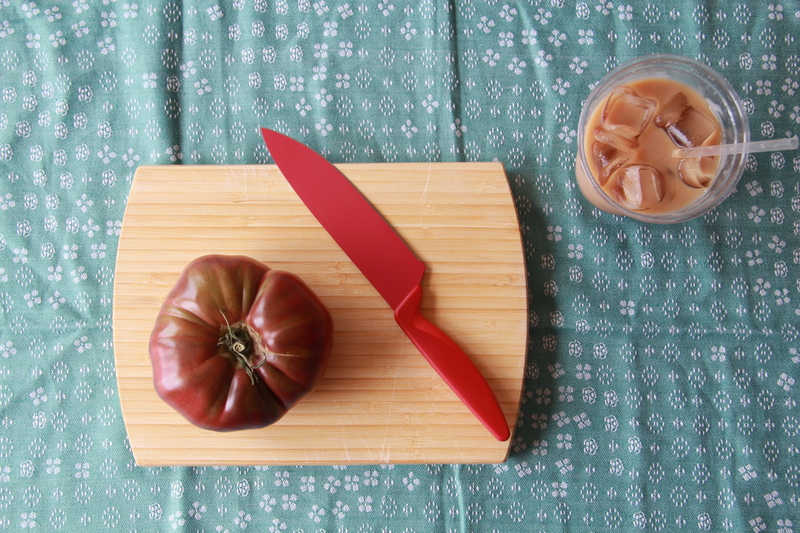 The building blocks for one cool tomato sandwich. There are variations, of course. I like to top mine with some fresh basil leaves and a crumble of sharp blue cheese, and — this is important — I like to eat it open-faced. Since we’re working with such good, hearty bread, it’s my opinion that just one slice is all you need. One thick slice of ciabatta serves as a sturdy base, allowing you to easily pick up the sandwich (and then deftly move it towards your face), and also helps to absorb the inevitable drip-tide of ripe tomato juice that would prefer to run down your fingers and chin. That said, it’s your sandwich. It’s your summer. Do it like you do. Real summer 2012! Wear smiles and sunblock. Eat tomatoes. Take time. Enjoy! YUM YUM YUM!!!!! You make me one? how did it go, chef jane!? xox! 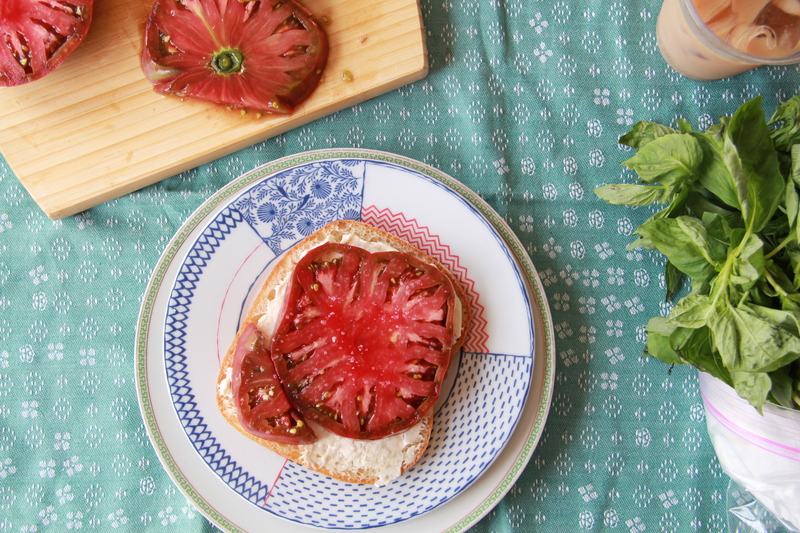 I dont looooove tomatoes, but this looks summery, fresh, and yummy!